Sweet Pea loves her food! Sweet Pea has started really getting into eating with us! 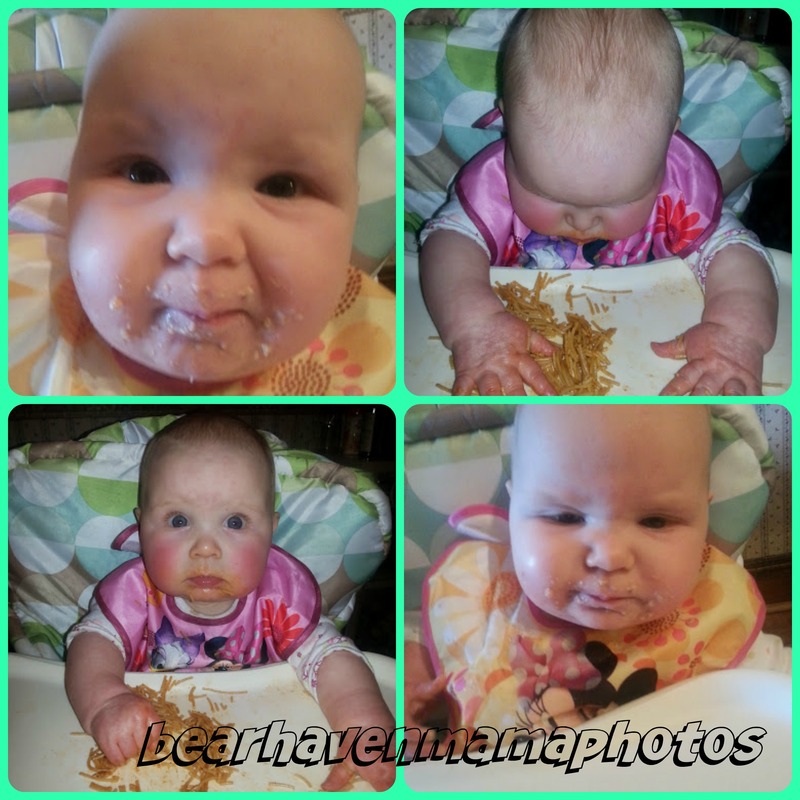 She loves yogurt, puffs, and spaghetti! Since my husband has been gone and missing it all, I took some pictures of her looking silly and having fun with her food! What were some of your kids’ first foods? What was their favorite?